Product prices and availability are accurate as of 2019-04-09 10:54:58 EDT and are subject to change. Any price and availability information displayed on http://www.amazon.com/ at the time of purchase will apply to the purchase of this product. 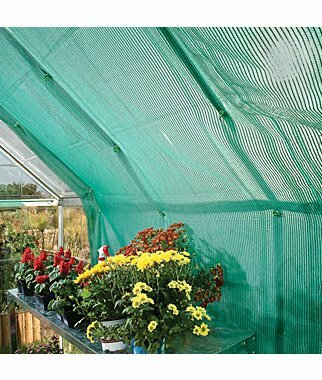 Protect your plants and create the optimal growing environment with the Palram Shade Kit. 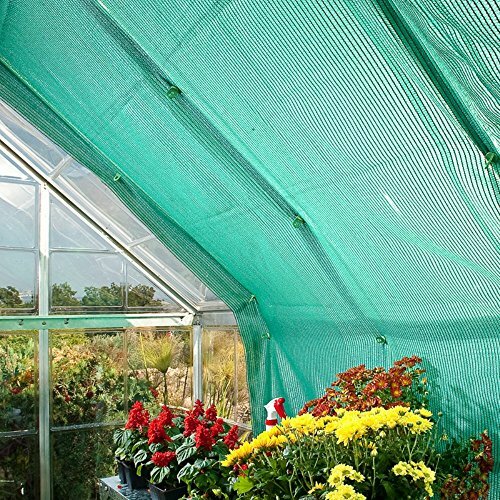 Designed to clip inside your Snap & Grow Greenhouse, this shade kit includes one 30% shade cloth that lets an optimal 70% of light transmission through to your plants. Quick and easy to install, this shade kit includes ten plant hangers and can be repositioned as your needs and growing seasons change. Clips inside your Snap & Grow Greenhouse. Allows for 70% light transmission to your plants. Quick and easy to install and reposition as needed. Includes 10 plant hangers. Measures 7.5L x 6.5W feet.